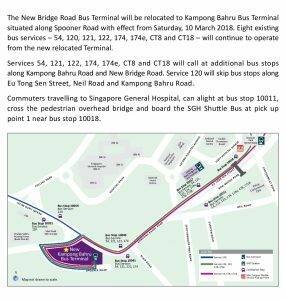 On Saturday, 10 March 2018, Bus Services at New Bridge Road Bus Terminal will be relocated to Kampong Bahru Bus Terminal. 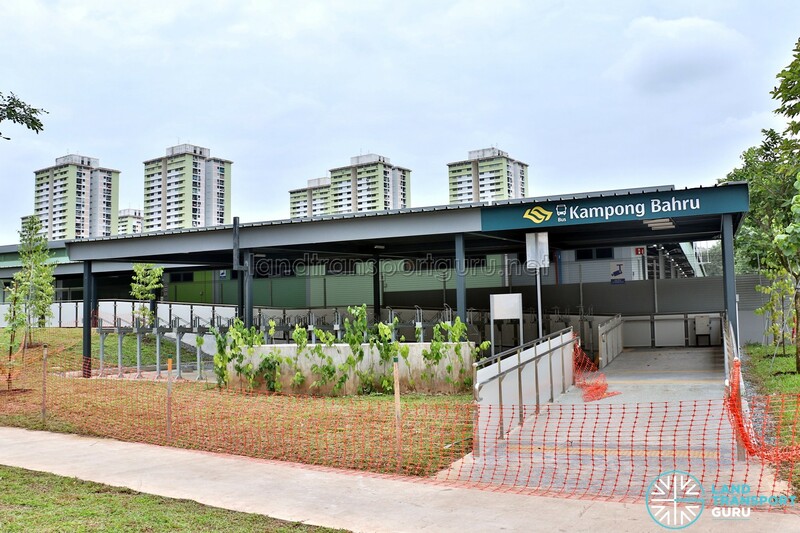 In May 2016, it was announced that New Bridge Road Bus Terminal was to be relocated to a plot of state land next to Blair Road which was formerly owned by Malayan Railways. 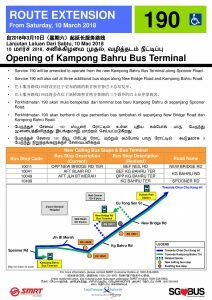 The relocated bus terminal, Kampong Bahru Bus Terminal, can be accessed by an extension of Spooner Road via Kampong Bahru Road. 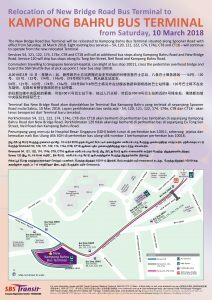 The existing plot of land that New Bridge Road Bus Terminal occupies will be cleared to build an Elective Care Centre, an expansion of existing infrastructure at Singapore General Hospital. This new Elective Care Centre is scheduled to be ready by 2022. 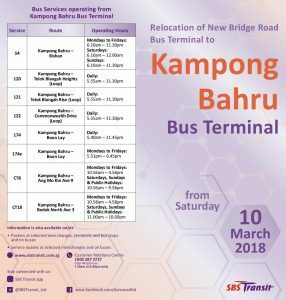 Bus Services 2, 12, 54, 121, 122, 174 & 190 will call an additional bus stop from Kampong Bahru Bus Terminal, as well as 2 additional bus stops towards Kampong Bahru Bus Terminal. 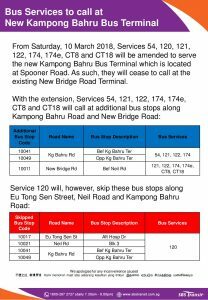 Bus Services 12e, 174e, CT8 & CT18 will only call at an additional bus stop towards Kampong Bahru Bus Terminal. 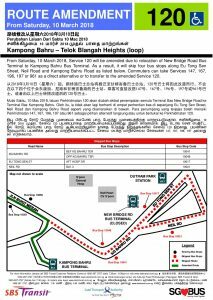 Bus Service 120 will be shortened to Kampong Bahru Bus Terminal, skipping bus stops along Kampong Bahru Road, Eu Tong Sen St & Blair Road. 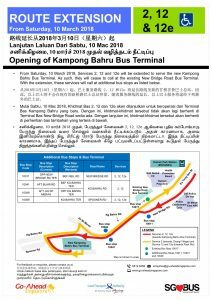 The first stop after and last stop before Kampong Bahru Bus Terminal will be Bus Stop 10051 – Blk 149, Jln Bukit Merah and Bus Stop 10059 – Opp Blk 149, Jln Bukit Merah respectively.